Still just me this week as Murr is still living it up in New York – and it looks like he’s having a great time! The latest seasonal event will be coming to Overwatch this week, so I’ve been spending a bit of time playing – let’s be honest, I haven’t really stopped playing since launch. Obviously the event will be themed around the holiday and Christmas, and it looks like we will get a Christmas King’s Row. I’m hoping for really good festive player skins, at least one character as Santa, maybe an Elf or two and probably someone dressed as a snowman. I’m really hoping that Zenyatta gets a skin where his projectile balls turn to snowballs, if Blizzard haven’t done this then they have really missed a trick. Overwatch has constantly kept me engaged since launch, whether it be with timed events, new maps, new heroes etc.. Yes the Sombra reveal dragged on way too long, but it feels like the rest of the content has been well spaced out. I’m currently making my way through my placement matches for Season 3 of competitive, I don’t really have an idea where I will place. Most of time I play solo and I know that’s generally a recipe for disaster, but I don’t mind too much. I just like playing. I think I’ve played 7 of my 10 placement games so far and have won 3 or 4, which is pretty similar to how I fared in Season 2, so I expect I will probably end up in a similar position. I’m definitely going to be playing a lot of Overwatch in the next couple of weeks to ensure I get some good stuff unlocked! I did pretty during the Halloween event, but still missed out on a couple of the items that I really wanted, so fingers crossed for this time! The Division is another game that I’ve been getting back in to over the last week or so. I mentioned that I’d been playing a little of the new survival mode last week and this week I’ve also just been plodding around NYC taking out bad dudes. 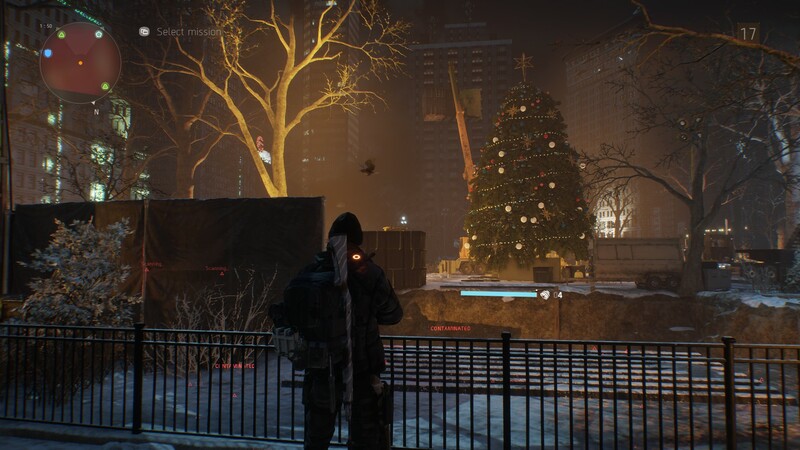 When I stopped playing The Division a few months back, I’d only got to level 20 and the loot that drops from the survival mode seems to be all level 30, so currently it’s no good to me – well apart from giving me some materials I guess. With that said, I’ve decided to spend some time getting my level up to 30 so that I can actually make use of anything that drops for me. It seems that I’m not the only one that has got back in to The Division recently, with the number of players starting to pick back up again according to steam charts. It looks like Survival and the new patches have really revived the game for a lot of people. I know that I haven’t played lots of the new mode but I really do hope that they build on it as it feels like how the game should’ve been at the beginning – actually trying to survive in a post-apocalyptic world! Most people know that a new patch came to No Man’s Sky a few weeks back, it wasn’t until the weekend that I actually tried it out. I felt positive about it and thought it was a good step in the right direction for the game. Now, that I’ve tried it I have to say I still don’t really like NMS… Within about 2 minutes of playing the game I was already annoyed with the terrible controls and menu layouts. I just couldn’t get in to it, it felt clunky and annoying trying to build a base, navigating the menus was frustrating, I just didn’t like it. I’m probably being a bit harsh as I don’t think I really gave it a proper go – I’m guessing the game still has a sour taste to it for me in general, so I will go back and try to get in to it a bit more. Last week I put together some ideas for a few stocking filler board games – games that would be easy to learn, fun to play and good for groups of people! The perfect games to play on Christmas Day! You can check them out here. ← Board Game Stocking Fillers!